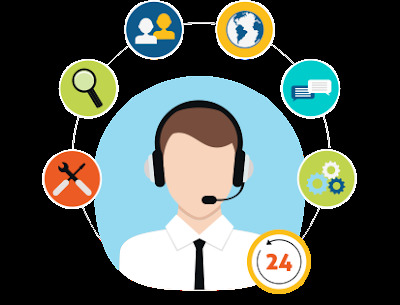 To run your business efficiently you have to have a seamless communication system which helps in offering best in class customer service to the customers. You should be able to get timely updates, calls and notification of any development related to the product, service, dispatch & delivery, order generation, inquiry, purchase order, vendor communication and others. A VoIP business phone system which essentially is a cloud based phone system can help in giving a boost to your productivity as well as the customer service to a great extent. Here are some of the reasons which will compel you to make a move towards the new age VoIP system at your office. Traditional phone systems are not just lackluster and inept in handling in modern communication needs but they also happens to be expensive when compared to a VoIP system. You can choose from multiple VoIP plans at varied price points with varying features to suit your business needs. Herein you get the chance to use multiple services like traditional calling minutes, internet facility without the need of investing in additional hardware or software. Scale up and down as per your business needs The best thing about the VoIP business phone system is that it is highly scalable. You can easily scale up and down in order to serve your rising or decreasing workforce or business need without any hassle. It is ideal both for a start-up which has a small workforce but needs reliable and robust communication system in place to lead the business towards of progress and other hand large scale business will find it beneficial in quickly scaling and downsizing as per their business forecast. Now access your phone system from anywhere any time. A VoIP system is known to offer extreme flexibility to the communication needs of the business. This system is accessible via internet which means you can make call or manage your system but you need to possess a reliable internet connection. You will be able to work remotely from anywhere in the world and a keep track of the work proceeding with ease and simplicity. Customize the phone system as per your business needs with a VoIP system everything is done via internet which allows you to expand its functionality as per your business needs. It can be easily integrated with other programs and doesn't even require on-site maintenance if something goes wrong. It should be noted that technology made used in the VoIP business phone system is hosted right into the cloud while it is managed by a provider which are responsible for its maintenance.VoIP business phone system providers are known to provide timely system upgrade which helps in bringing best of the features and up-to-date technology to the phone system at any given moment.